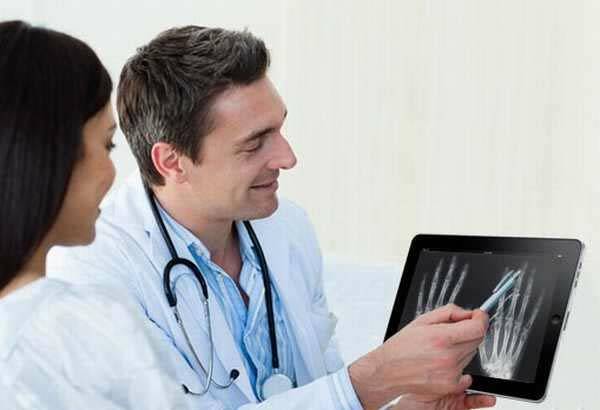 Wireless technology in hospitals is continuously progressing, particularly with the uses of the iPad. It’s lightweight, manageable, powerful, and contains a large library of built in applications, so it’s easy to see why its range in hospitals is expanding daily. Apple has a medical app section for health care professionals on iTunes, so now with over 3,665 apps intended for health care professionals, iPads are now being utilized by technicians, nurses, and doctors every day in some intriguing ways. Electronic medical records apps allow doctors and nurses to carry around full access to the hospital’s medical records system in their pocket. 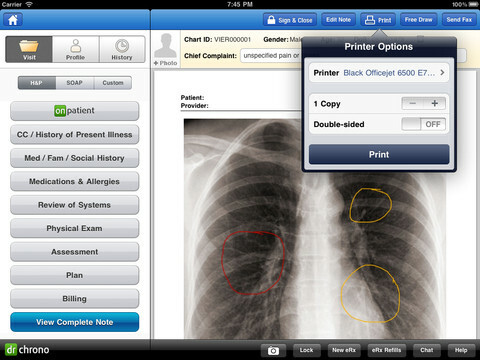 iPad patient monitoring assists physicians with checking-in on patients and keeping track of their patients progress. Now keeping up with patient results and stats, health care records, and submitting orders can be accessed with the flick of a finger. Point of care apps are an invaluable communication tool for physicians during patient visits. 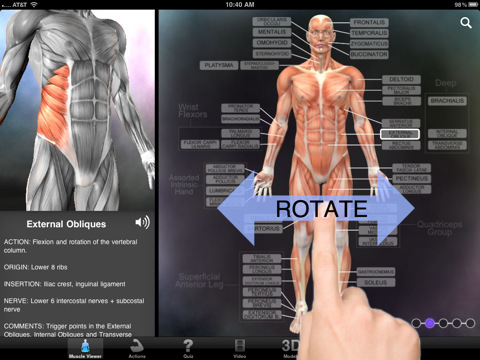 These apps allow doctors to display vivid images, accurate diagrams, and video on their iPad while talking with patients which helps transmit clearer information to them more easily. There are a mass of medical reference apps available that deliver health care providers with everything from broad to very detailed medical information. Clinicians can access qualified material and images about things like medications, conditions, diseases, and symptoms. The iPads extraordinary image quality allows doctors to immediately view or transfer patients’ clinical images and make a faster diagnosis. This is not only a much easier method of viewing these images, it's also more accurate. With the touch of a finger, doctors can measure distances on images, image intensity values and annotate images. 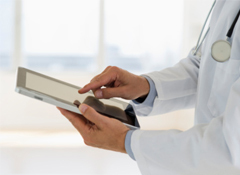 The use of the iPad in hospitals is changing the way medical professionals perform. The days of clinicians being tied down at a work station are over and the iPad and other wireless mobile devices are taking the quality of patient care to the next level. Yet, with all these innovative developments there are some serious concerns about still keeping the hospital wireless network secure and safe from harm. This is where we can help. SecurEdge understands the importance of new mobile devices create new challenges for IT departments ranging from new sets of securities, configurations and management. Apple iPads use 802.11n technology and the IT department needs to ensure that these high performance devices do not adversely affect the performance of clients using legacy Wi-Fi technology. 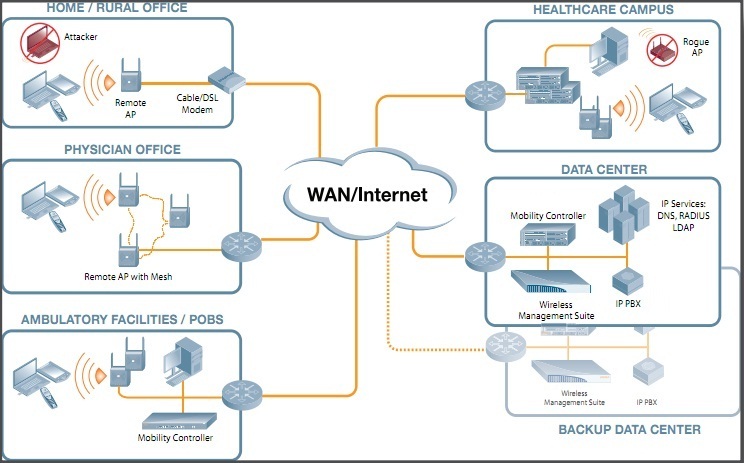 SecurEdge Networks can provide your hospital wireless network with the security and management it needs to authenticate and track users on the wireless network. Previous Post: Are Wireless Site Surveys Worth The Cost?